On 17th July 2018 we held the eighth workshop with students 11 – 17 years old from “St. Paisii Hilendarski ” Secondary School- Plovdiv, Mathematics High School ” Academician Kiril Popov”- Plovdiv and the French Language School “Antoine de Saint Exupéry ” – Plovdiv. The workshop was held in the town of Kiten. Among the participants there were 5-6 students with disabilities – hyperactive, with visual impairments and one child with epilepsy. At the beginning, Mrs. Ikimova acquainted the participants with the goals and the ideas of the project. We had individual conversations with each disabled disciple, clarifying their participation in the forthcoming volleyball game and its duration. The game was held with the help of a coach – a specialist in volleyball – Mr. Mihailov. He explained to the students how to perform up and down passing with both hands, how to perform an initial strike, individual and techno tactical actions, interaction between two or more players, moves, stands, personal protection etc. During the game, there wasn`t any difference between the participation of these students and the others. They played with great enthusiasm and willingness, following the rules of the game and performing rationally the technique. A great interaction between the distributor and the striker was achieved. They understood the requirements of interrupting the game and making shifts. When they were replaced, they did not rest, but took the role of assistant judges and assistant coaches. We noticed how precisely they were following the rules of the game, even discovering some players’ mistakes. The game lasted 45 minutes. The desire to continue the game was incredible. The children wished to sign up for the next year. 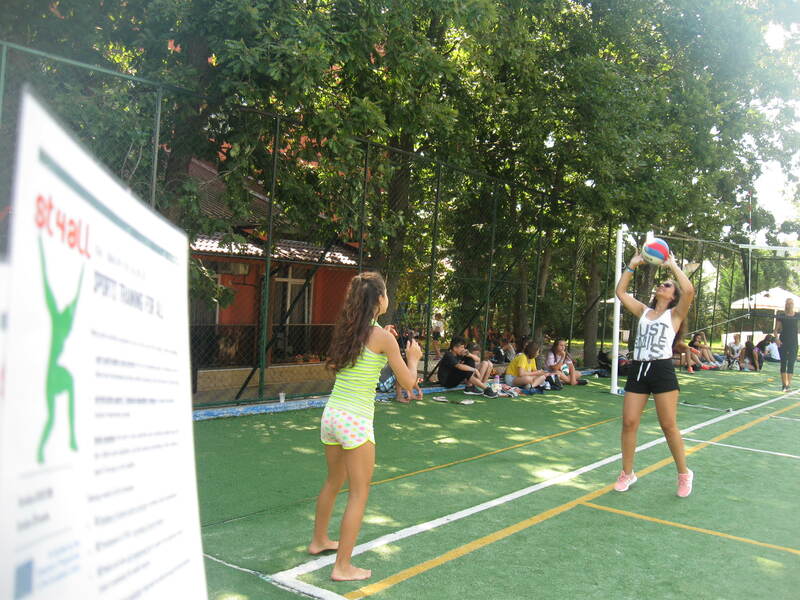 The game ended with congratulations between the two teams according to the rules of the volleyball game. The event was organized by Mrs. Silva Ikimova and Mrs. Nina Grudeva with the help of Mr. Mihaylov – a teacher of Physical Education and Sport and a trainer at “St. Paisii Hilendarski ” Secondary School as the eighth workshop within the project, aiming to raise students’ awareness of the benefits of sports.